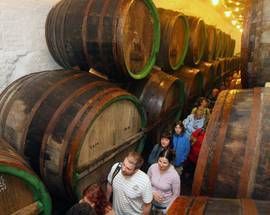 The first batch of beer filled the air of the Burgher’s Brewery on 5 October 1842. 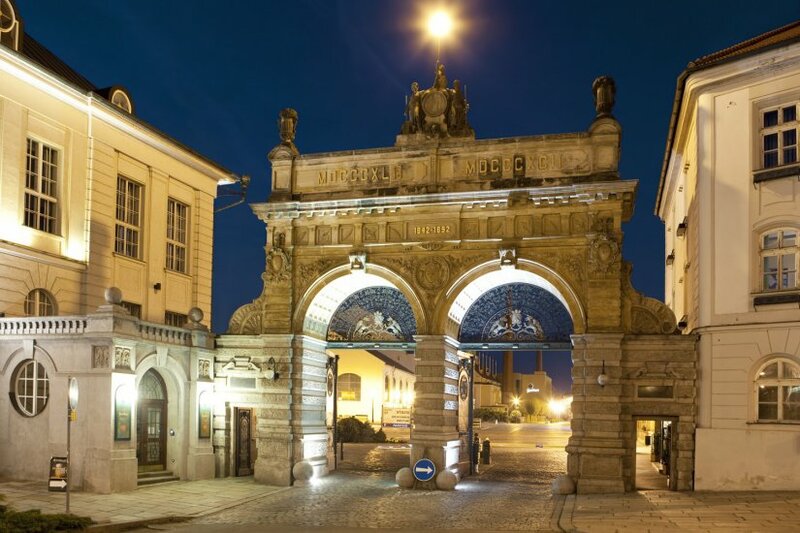 This was when the exceptionally light, bottom-fermented Pilsner Urquell was born. The beverage became the model for pilsner beer, which now accounts for 70 per cent of all beer brewed worldwide. The company’s essential symbols are the Neo-Renaissance portal from 1892 and a water tower from 1907 that is reminiscent of a Dutch lighthouse. The fifty-metre high building stands on the former executioner’s hill, where Chodsko’s most famous native son, rebel leader Jan Sladký Kozina, was killed in 1695. The tour of the brewery starts at the Visitor’s Centre, in the building housing the original wort cooler. 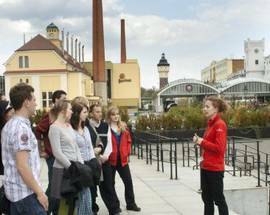 The guide will lead you to areas associated with the history of the Pilsner Urquell legend as well as to areas where beer is brewed today. 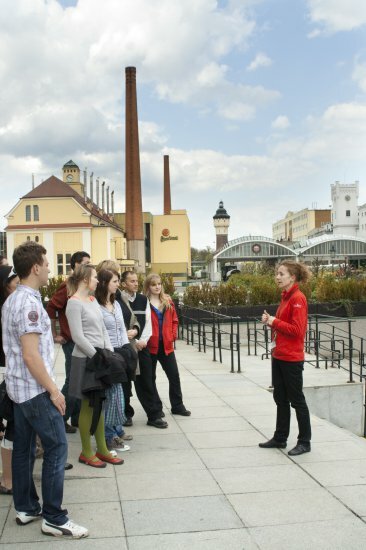 In addition, you’ll see one of the most modern bottling lines in Europe, a panorama cinema, a unique exhibit of beer ingredients and an historical and a modern brewhouse. 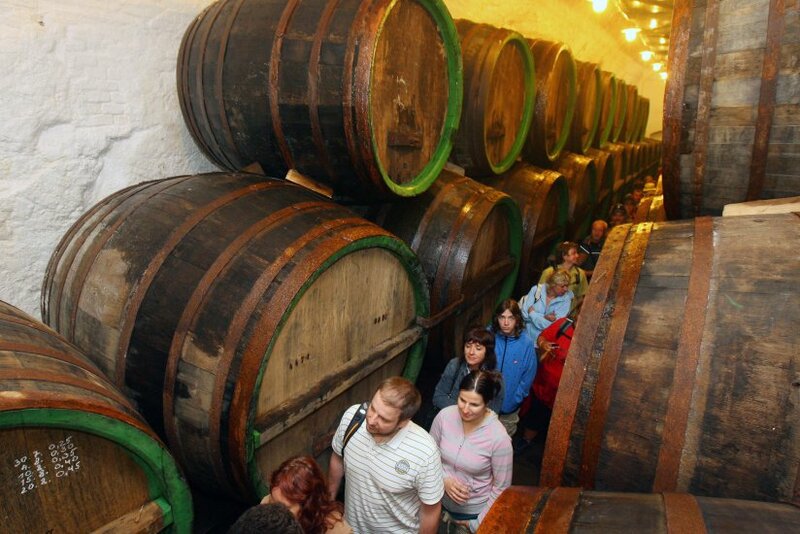 The highlight of the tour is a visit to the historical beer cellars, where visitors of drinking age can taste unfiltered, unpasteurised Pilsner Urquell tapped directly from an oak lager barrel. Even on the hottest of summer days, though, be sure to take a warm jacket with you. It is only 4°C (39°F) in the cellars. ​Open April-September 08:00 - 18:00, Oct-Mar 08:00 - 17:00. Tours in English everyday at 10:45, 13:00, 14:45, 16:30. Wonderful trip! 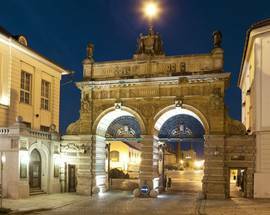 Plzen is very nice place! The tour of the brewery was cool, the unfiltred Pilsner delicious !